'I've no doubt indictment against Prime Minister will include bribery offense,' former police commissioner says. 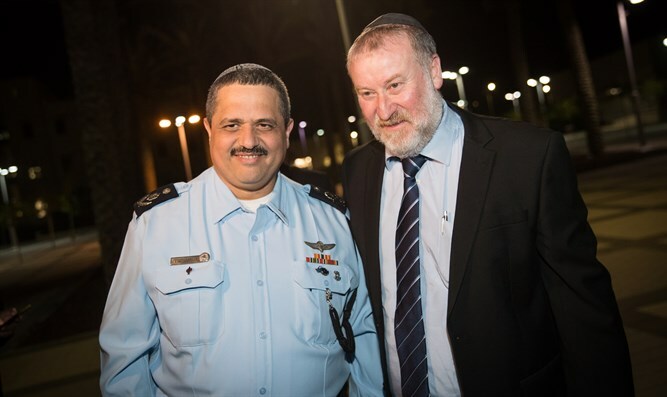 Former Police Commissioner Roni Alshich recently estimated in closed conversation that the Attorney General would decide to indict Prime Minister Binyamin Netanyahu. News 12 quoted Alshich saying "Mandelblit crossed the Rubicon and won't break. I have no doubt the indictment against the Prime Minister will include the bribery offense. "Mandelblit himself said months ago - it's [an attack] on its way to me," said former police chief Alshich in closed conversation. "The attack by Netanyahu and his people could have a devastating effect on the fabric of relations in Israeli society," Alshich claimed in those conversations. "We're liable to pay an unbearable price. After the elections we'll need a lot of work to restore trust in the law enforcement system," added Alshich.